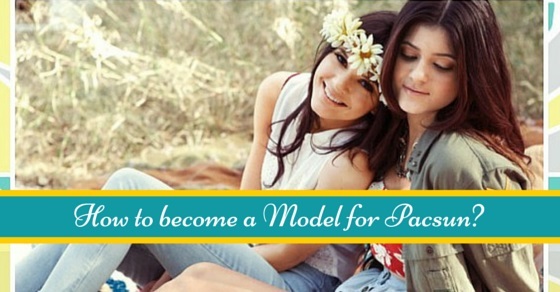 Many young women aspire to be selected for a position at Pacsun for starting their career in modeling. 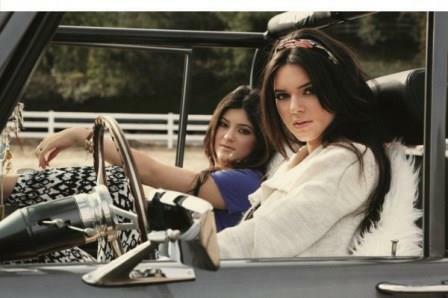 The glamour associated with being a Pacsun model is what drives most of the young girls towards this career. Yet there are many facts about Pacsun and the career there that you may not be aware of. Read to know what Pacsun stands for and how you can get hired for the firm as a Pacsun model with these basic Pacsun interview tips. 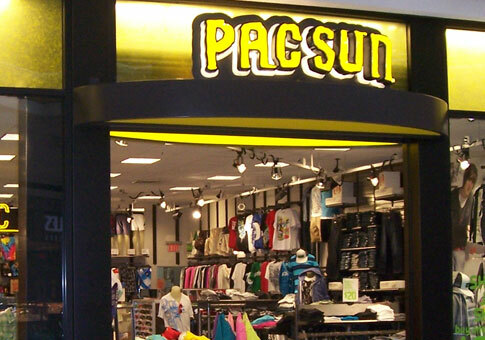 Pacsun or Pacific Sunwear is one of world’s most popular clothing brands. It has several outlets all over the world. It requires new employees and the youngsters can come across many job opportunities with the brand. The interviews are arranged in different formats for Pacsun and individuals need to prepare well to get through the interview. It is easy to apply for the position of being a Pacsun model by using their website. Here is a brief on how you can apply for the job online. You need to visit their website and go to the ‘Careers’ subheading. Here they usually list out corporate as well as retail positions that are vacant at their store locations. Select the retail option if you wish to be a store model. If you are looking for an entry level position, it is better that you apply for the job in person as they would expect the same. If you are looking out for a particular job opening, you may just enter the keyword in their website and they will come up with all the possible job vacancies for that particular keyword. Once you find the job of your choice, click on the link to apply. You may need to create a profile to continue. Those who do not wish to apply online, they also have a printable application and the candidate can apply for the position in person. The hiring process includes candidates who are eligible to work with their firm like age to work at Pacsun, legal permission etc. The minimum age requirement to work at Pacsun is a minimum of 16 years. You also need to possess a worker’s permit to start working at this brand’s stores. For entry level jobs, their list of requirements and expectations from candidates are limited. This makes it easier for freshers to get hired at Pacsun. You should also have the legal permission to work in the US. They also check your track record and make sure that you have a clear past. If you have a history of crime, your chances of getting the job are reduced greatly. The hiring process is usually simple. The interview may be scheduled as a one on one interview for sales and seasonal jobs. In rare cases, there may even be a group interview scheduled. The questions asked in the interview are usually simple and are related to hobbies, interests, future goals and things associated with you. You need to reply to the questions confidently and in a courteous manner. The job at Pacsun may involve different types of tasks. The nature of the job greatly depends on the profile you are handling. Pacsun is a brand that values team effort and even during the interview process, they look for candidates who can work in coordination with other people. They usually ask questions related to your fashion skills. They try to assess whether you can understand the requirements of a client and offer right options when you are questioned on the same. Take advice from your contacts in the modelling industry and get your photo shoot done in an impressive way. Give your portfolio to your agency and ask them for tips and suggestions to improvise. Make the essential modifications to ensure that the portfolio is impressive. To be a store model for any of the prominent brands, you need to understand the retailing trade. This will help you understand your job faster. It will also help to enhance your profile for the particular job position. The employees at Pacsun enjoy a number of benefits and we have just mentioned a few of these benefits out here. If you do not enjoy the restrictions of wearing formal attire at work, Pacsun is just the place for you. They have a very trendy dress code that you would love to wear and show off in front of your companions. This makes the job at Pacsun enjoyable due to the casual feel. The privileges for Pacsun employees extend to life, health and fitness too. They have life, health and dental insurance for their employees. This is a special facility offered only to the employees at Pacsun. The employees at Pacsun enjoy special discounts on different products sold at the diverse Pacsun outlets. This includes outfits, clothing and even accessories. This helps you wear the brand at a much cheaper price. They can save money while shopping for clothes and accessories. Many individuals who seek jobs at Pacsun consider these benefits also. The Pacsun employees enjoy 50% off on products that are not already on sale and 10% discounts on purchase of products that are on sale. At Pacsun, work means enjoyment. The Pacsun brand wants its employees to enjoy the work at hand. They also care for the employee’s health. That is the reason why the Pacsun stores usually have onsite fitness facility. This allows you to work out and rejuvenate even in the midst of a busy work schedule. The people working at Pacsun have the typical Californian attitude towards life. They take life easily and are great to communicate with. This makes the work environment really enjoyable and healthy. Your salary at Pacsun will greatly depend on the position you take up. The wages for a brand representative is usually $8 per hour but this may vary and the well paid brand representatives get almost $14 an hour. The entry level jobs do not pay too well but the benefits associated with the position at Pacsun still attract countless youngsters for the entry level jobs. The store management positions pay pretty well. You may expect a salary of upto $25 per hour. It is a great option to begin your career at Pacsun as you gain a lot of retail related knowledge and experience at Pacsun. After noting all the merits of a job at Pacsun, if you really feel like joining the brand and representating it, start working on your dream today itself. As brands like Pacsun hire only through renowned agencies, you need to make sure that you catch hold of a good agency to market your skill. The career in glamour is really not easy and there are many challenges you may face in the course of time. Here are some simple tips to help you deal with the career. A pessimistic approach does not get you anywhere. If you lose out on one opportunity, head for others. If there is something lacking in you, try to work on that aspect and improvise so that you will be their first choice for a photo shoot. Be active in all modelling and glamour circles. Fame can be achieved only if you work for it. As the road to success has many hurdles, only people who are really determined achieve their goal in this field. You need to stay motivated and never lose hope with failures. You are a star and a role model for many and you can never afford to be weak or demotivated. You need to be completely focused to achieve your goal. A weak mind easily loses heart and gives up hope. Cutting out on hours of leisure may really sound simple but when you have to compromise on the little time you have with family and friends, it can seem a hard choice. You need to be consistent with your efforts and vacation is not allowed. You cannot skip exercise or relax on the diet even when you are touring with your family or partying with your friends. Being a model at Pacsun is just the first step to success and you can slowly ascend the ladder by appearing on various fashion magazines and websites. Your job at Pacsun will also help you make good contacts in the fashion industry that will help you get to the next stage of your career. A little effort and commitment can get you to the top in the fashion career. So gear up and start working today.